Never lose another business critical email. Find and retrieve any email in your archive in seconds. Simple to access and set up. Easy to use. With SuperFastSearch™. ArcTitan archives your organization’s email securely in the cloud. Your email users can safely search, view and retrieve their ArcTitan email archive from their Outlook email client or any web browser. ArcTitan includes full email Audit functionality. Compliant with Sarbanes–Oxley, HIPPA, and other legislation for e-discovery, retention and audit. ArcTitan provides all of the features and functionality you would expect, and a lot of extra functionality that will surprise you. But you will not be overwhelmed – the simple and intuitive interface means that you and your end users will be able to use ArcTitan almost instantly. We don’t lock you in with the use of proprietary formats – so you can move some or all of your data to another system as required. No costly, time consuming data conversions – neither when you join, nor if you ever decide to move some or all of your archive elsewhere. Ensures you are HIPPA and SOX compliant for email retention and auditing. No matter which email server you are currently using, ArcTitan is compatible with it. We will give you hands on technical help to ensure that the email you need to archive is duplicated securely and is always accessible to you and nobody else. 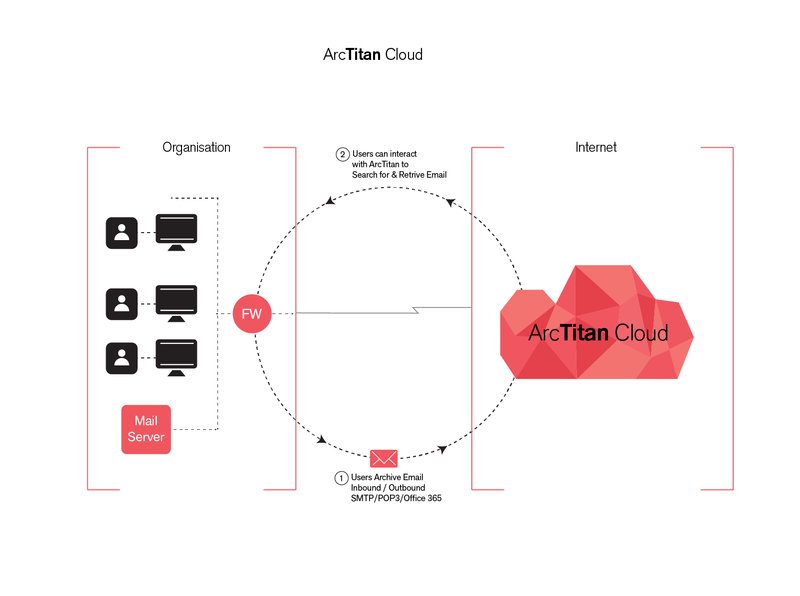 ArcTitan Cloud expands dynamically in storage capacity as your email data grows with time. No need to add storage, manage servers, or migrate data. No need to budget for the inevitable growth of email data. No matter how large your email database grows, access time will not be any slower, and you will not need to add server capacity to improve performance. We manage all of the complexity, invisibly in the background, so that you can simply get what you need, when you need it, instantly, without any extra effort. Your access is seamless and transparent to both your administrators and your end users at all times – via the web interface or Outlook.